The fallout from Zimbabwe’s failure to qualify for the 2019 World Cup is threatening to go nuclear, with Zimbabwe Cricket losing its respected managing director Faisal Hasnain, and players threatening to strike during a planned tri-series against Australia and Pakistan in July unless they are paid their dues. Those are just two of the problems facing ZC chairman Tavengwa Mukuhlani, whose position has come under further scrutiny following his decision to run for political office. Mukuhlani is also facing a $1m libel suit from former coach Heath Streak for comments made in the media, in which he insinuated Streak’s selection and management of the Zimbabwe team had been racially motivated. Mukuhlani and his board have come under steady fire since effecting a wholesale clearout of coaching and support staff just days after Zimbabwe lost to the UAE and failed to qualify for the World Cup. The decision turned public opinion against the board, and led to the creation of the Zimbabwe Cricket Family, a group of people connected to the game who have sought to have the ZC board removed from office. While the ZC board have survived the onslaught thus far, they could now face action from the one party with the power to cripple the game from the inside. Zimbabwe’s players have been silent since seeing Streak dismissed, despite privately holding feelings of intense disappointment. Now there is rising concern about ZC’s actions, the future of the game in Zimbabwe and when they might be paid. Cricbuzz understands that both international and domestic cricketers have still not received their salaries for March and April, while the international players are owed match fees for all of Zimbabwe’s games since last July’s tour of Sri Lanka. Since then Zimbabwe have played Tests against the West Indies and South Africa, ODI series in Bangladesh and the UAE as well as the World Cup qualifier matches. As a result, several players are owed close to $40,000 in match fees on top of their monthly wages, and are threatening to sit out the games against Australia and Pakistan in July if ZC do not settle their dues. In the past, ZC warned its staff and players about disruptions to the pay cycle and offered clarity on when salaries would be paid, but the players have received no such alerts or assurances in the last two months. ZC had hoped to claim firmer financial footing by securing a major advance or loan from the ICC, but it is understood that their attempts were rebuffed at last week’s ICC gathering in India. ZC’s financial strife claimed another victim this week when it was confirmed that its academy programme would not be taking place in 2018. The academy side, the Rising Stars, had been expected to tour the United Kingdom – as it did last year. 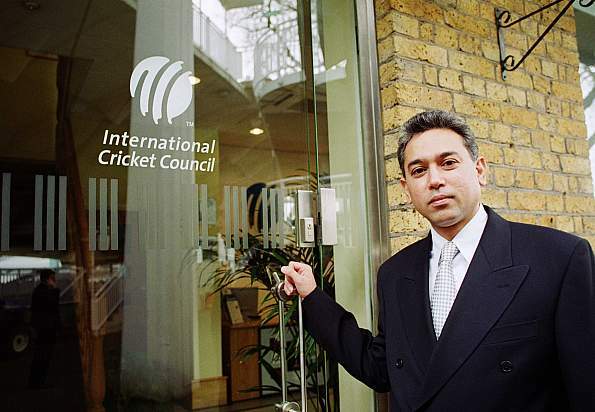 The ICC’s refusal to bail ZC out is thought to have contributed to Hasnain’s decision to step down as managing director, although publicly he cited the non-qualification as his main reason for leaving. His letter of resignation was sent to ZC last Friday, but the organisation did not announce his departure until Thursday (May 3) when the news had already begun to leak out. “The main reason for my resignation is the non-qualification by ZC for the ICC Cricket World Cup 2019. One of the main objectives that I had set myself was for ZC to qualify for the CWC 2019, and last year I had advised my management team that I would step down if ZC did not qualify,” Hasnain said in a ZC media release. Hasnain’s appointment last April added to the sense of optimism around Zimbabwe cricket at the time, given that he came with a wealth of experience in the game, having served as the ICC’s chief financial officer for 12 years. That sense grew during his brief tenure, and peaked last September when Zimbabwe’s impressive showing in Sri Lanka was backed up by the news that Brendan Taylor and Kyle Jarvis would return to the national fold. The energy generated over the past year dissipated the moment that Zimbabwe lost to the UAE by three runs in front of a packed house at Harare Sports Club on March 22. The grief that came from non-qualification was only deepened when Streak and his backroom staff were dismissed the following week. Last week ZC began the recruitment process for a new national coach. On Thursday the organisation confirmed that they would “shortly start interviewing suitable candidates to fill the managing director’s position”. Having sacked everyone in their coaching structure and lost their managing director, all ZC have been left with is the board and the players. But with the players growing increasingly frustrated, and national contracts set to expire in July, the board is looking increasingly isolated, and its image has not been helped by its increasing politicisation. Mukuhlani, who is a pharmacist by trade, was this week confirmed as Zanu-PF’s representative in the Mhondoro-Ngezi constituency as he seeks to become a member of parliament in elections that are due to be held by July. Mhondoro-Ngezi falls under the Mashonaland West region, of which minister Kazembe is the Zanu-PF provincial chairman. Another member of the ZC board, William Chaitezvi, put his name forward to contest a primary election in Karoi. Mukuhlani did not respond to a request for comment.